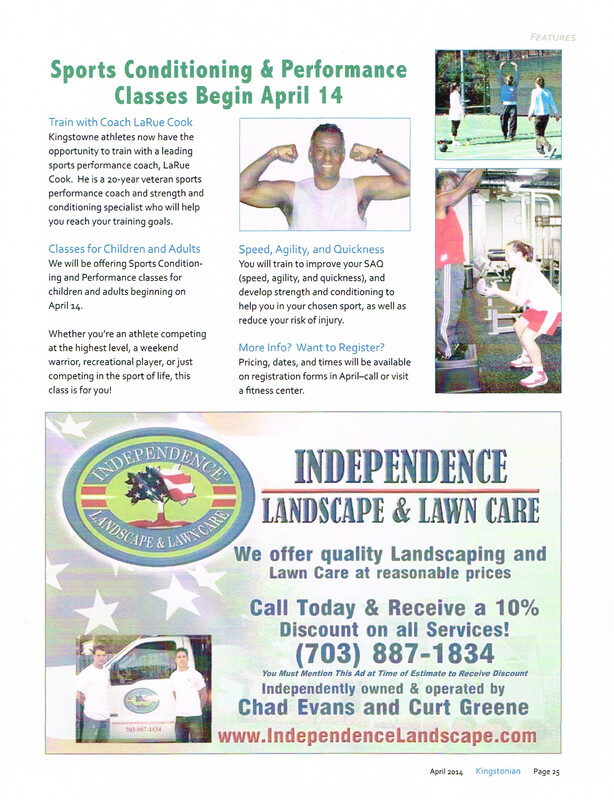 Here’s the final release on my upcoming April Sports Performance and Conditioning Class that I’ll be conducting for a Homeowners’ Association and its residents. Looking forward to helping these kid and adult athletes improve their sports performance through FUN and CHALLENGING sport-specific strength and conditioning! Hey everyone! Here’s our latest edition of the Triple F (Fit Fun Facts) newsletter. Please enjoy and feel free to share with your friends. Here’s a copy of our latest Fit Fun Facts newsletter. Please enjoy, feel free to subscribe, and of course share with your friends, family and co-workers. One of my many projects that I’ve been working on is to create more short videos on some of my work. Here’s one that I created, during yesterday’s Snow Day, showing some of my labor of love – writing! I write published articles on a myriad of health, exercise, sports performance, strength and conditioning, and wellness topics. I also speak on these topics as well. Here is a short clip on some of those articles. Enjoy! Happy New Year to all my friends and blog followers! I hope that 2014 holds many pleasant surprises and happy times for each of you! Here’s a copy of my latest Sports Conditioning newsletter. Please enjoy, and feel free to share with your friends. If you haven’t already subscribed to my newsletter, please do it so that you don’t miss any issues. Thanks! Ok all you female athletes out there, here’s a short video clip that will hopefully get you energized and ready for action! Enjoy! Athletes, Parents and Coaches: Reduce the risk of Non-Contact ACL injuries with the Award-Winning Sportsmetrics™ training program developed by the Cincinnati Sportsmedicine Research and Education Foundation. LEC Fitness is a Licensed and Certified Clinical Trainer for this program and will be offering this 6-week training to local Washington, DC metropolitan athletes and teams in 2014. Contact us for details. Below is a short video of the drop-landing digital testing and report that we use prior to training. This short video shows the digital video pre-testing we perform on each athlete before beginning the program.